Account Director is responsible for managing the client relationship and substantial account portfolio. This includes recommending programs and activities that coordinate with client’s goals. Account Directors are accountable for delivering contracted work on time and within budget, staffing accounts appropriately and producing high-quality work and excellent results. S/he is also responsible for developing and soliciting new business, including presentations and fee estimates. • Addresses any issues, trouble shoots problems and provides strategic counsel. • Make recommendations regarding salary increases, promotions, etc. The utilization allocations listed below are normalized for all Weber Shandwick locations. Offices may vary from this norm. As a member of the client team, an Associate assists in researching/analyzing, storytelling and in managing the day-to-day administration of the client relationship. 6.While Weber Shandwick may not have current openings in all locations and all practices, we are always accepting resumes. Please feel free to forward us your resume and we will contact you should an appropriate employment opportunity develop. A Consultant serves as a primary day-to-day client contact. The Consultant provides support to multiple account teams and efficiently services each of these accounts simultaneously. They manage the flow of work and information to account team, and possess an in-depth understanding of the client’s business, industry, and PR issues. The Consultant will perform fundamental PR tasks such as media outreach and press material development. S/he must also have strong research, writing and editing skills. The focus of a Consultant is on developing their proficiency and the necessary skill set to become a successful PR practitioner. 11.Manage external vendors and supervise photo shoots, print and video production. The focus of a Media Consultant is on developing their proficiency and the necessary media pitch skill and expand the media pool beyond vertical & sneaker media. A media consultant/senior Consultant serves as a primary day-to-day media (vertical & sneaker) key contact in BB/Jordan team. The consultant provides support to BB & Jordan team and efficiently services simultaneously. S/he possess an in-depth understanding of the Nike business, industry (incl. Basketball environment, sneaker culture) and PR issues, manage the media daily request, media/influencer story pitch, media coop and coverage follow up. The Consultant will perform fundamental PR tasks such as media outreach and press material development. S/he must also have strong research, writing and editing skills. 1. Familiar with the BB & Jordan media pool incl. vertical, sneaker ,youth & general sports which cover TV, digital & print. 2.Martian the media relationship esp. key media and key media influencers. 12.Participate in and provide media management /support for on-site activities. 13.Manage external vendors and supervise photo shoots, print and video production. • The Digital Project Manager is tasked with ensuring that all projects produced by Weber Shandwick Studio are delivered on time, to budget and to a level of quality in excess of the expectations of our clients. • This is a client-facing role, our clients being both internal stakeholders within the agencies we serve and external clients, with whom our agency partners have a relationship. This is very much a hands-on role and although there will be input from the senior team running the production team, this role will be responsible for managing our agency partners, clients and their projects independently, successfully over-delivering against their expectations. • This role need to be very tech savvy and digital focused. Typically, he/she will be able to handle comprehensive types of digital production requests including H5, mobile app, VR etc and able to make the right cut with a consideration of client’s budget and timeline. Experience of managing multiple projects of this type simultaneously is key. • Responsible for managing projects resource including permanent, freelance and external third parties. This includes selection, contracting, time scheduling and day-to-day workload management of resources to ensure projects are delivered to time and budget. • Commercial responsibility includes scoping projects and providing scopes of work and quotations for projects that then need to be managed accordingly through production and ultimately reach client’s satisfaction. • Share information, ideas and best practice with other team members. • Produce best-in-class work to help us win awards. Actively participate in new business initiatives including taking a lead role in research and scooping of new business opportunities as requested. • Bachelor’s Degree, with 6 years or more experience in communications, marketing ,media, digital or content develop experience. Account Manager is responsible for all aspects of a client relationship and account team. They must supervise multiple projects and team members. Other responsibilities include recommending programs and activities coordinating with client’s goals, effectively delegating projects, offering counsel to team members and allocating agency resources to match client budgets. Account Managers are also more engaged with business development, strategic program planning and the development of creative concepts. • Actively participate in new business initiatives including taking a lead role in research and scooping of new business opportunities as requested. • Manage daily PR activities including press release, interviews, reports, etc. Act as a daily contact for our clients' media. Proactively track media opportunities and recommend internally/to client Generate high-quality, on-time deliverables to our client. • Basic media plans and contribute to plan development processes as needed. • Continually communicate with manager. • Strong Microsoft Office (Excel, Word, PPT) skills. 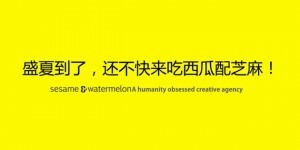 Please send your CV to jobschina@webershandwick.com.